So, just how does one go about juggling a consistent and comprehensive diet and exercise regimen along with a brimming social commitments plate and a demanding, go-go-go, entrepreneurial life? Well, that’s what I hope to explore and chronicle in this blog: my thoughts on applying solid diet, fitness and mindset-related theory within the constraints of a real-world life. Putting theory to practice, as it were. I’ve been immersed in the “Physical Culturalist” and high-performance scene for well over 40 years, now; the majority of those years while holding down demanding “corporate warrior” gigs completely outside of the fitness industry. And I happen to know a secret that most people who’ve attempted to implement a health, fitness and/or mind-set program within a normal, work-a-day life have no doubt figured out: that it’s not the rather truncated list of “what to do’s” that’ll ultimately doom you — hell, there’s a plethora of solid, well-researched information out there just for the asking — the real implantation killers lay hidden within the din of the consistent, day-in and day-out roadblocks that serve to prevent the application of that information. It’s not for lack of desire or inspiration that the majority people fail at their fitness goals; failure ultimately results from the cumulative fatigue inflicted from the springing of life’s little boobi-traps. Day-to-day trip-ups that’ll dis-inspire and frazzle one’s resolve. With this blog, I’ll attempt to shed some light on how I “endeavor to persevere” in my quest for the ultimate expression of Physical Culture; that is, producing the best, most healthful physical expression that my personal genetic hand is capable of achieving. 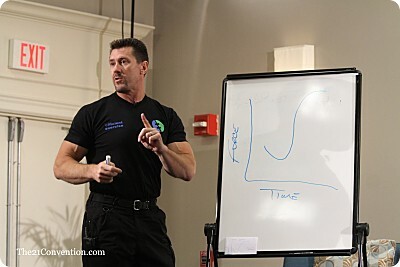 In September of 2010, I made good on a long-standing promise to myself that I would one day, when the call became clear and apparent, become more fully engaged in the hands-on teaching of my personal method for achieving what I term the “Physical Culture high life”; once I was introduced to the Efficient Exercise team, learned of their overriding philosophy of Physical Culture (and how closely that philosophy aligned with my own! ), and was subsequently offered a position within the team, I knew that no clearer “call” could be had. This was the signal I’d been waiting for, and I jumped at the opportunity; I’ve been an Efficient Exercise partner and lead trainer for some time, now and I’m delighted to share my years of Physical Culture know-how with EE’s enthusiastic clientele. So if you happen to be in the Austin, Texas area (the epicenter of Physical Culture! ), I do hope you’ll make an appointment to see me or one of my fine associates. Little satisfies me more than to partner with a client and, together, see that their health and fitness goals are attained. Whether you’re an athlete, stay-at-home mom, or corporate ladder-climber, we at Efficient Exercise can see that you attain your own self-defined version of the Physical Culture high-life. Longtime TTP (Theory to Practice) readers will recognize my “four pillars” approach to health and wellness; namely, merging smart exercise, appropriate lifestyle (including diet, sleep, informed testing and appropriate “bio hacks”), cool tools and pin-pointed supplementation to create an all-inclusive fitness and wellness package. And you should also know that I not only live by these “four pillars” in a physical sense, but I also believe in them to the extent that my financial viability is tied directly to these ideas. 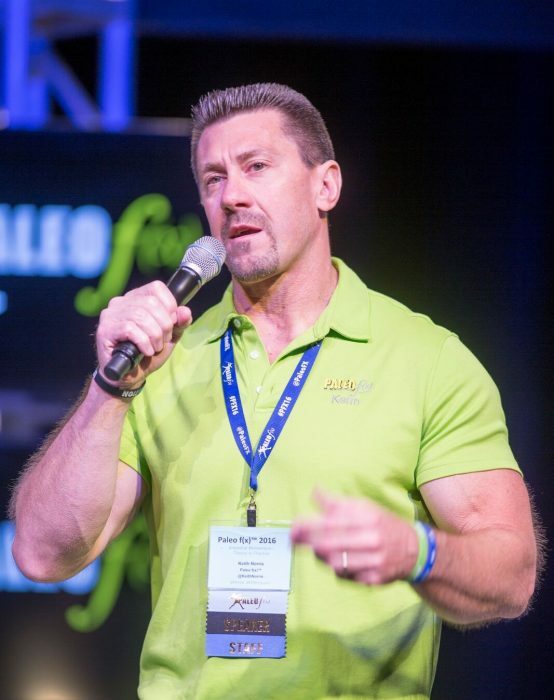 Being a partner in Efficient Exercise and ARXFit, a co-founder of Paleo f(x), and a founding member of ID Life means means I believe in this approach with my not only my physical, but financial health as well. So I do hope that you’ll drop by the Theory to Practice blog now and again to pick up some valuable tips and maybe — if I’m conveying ideas like I should! — you’ll see that it is actually possible to be fit, well-fed and healthy even while being a slave to the capitalist grind. 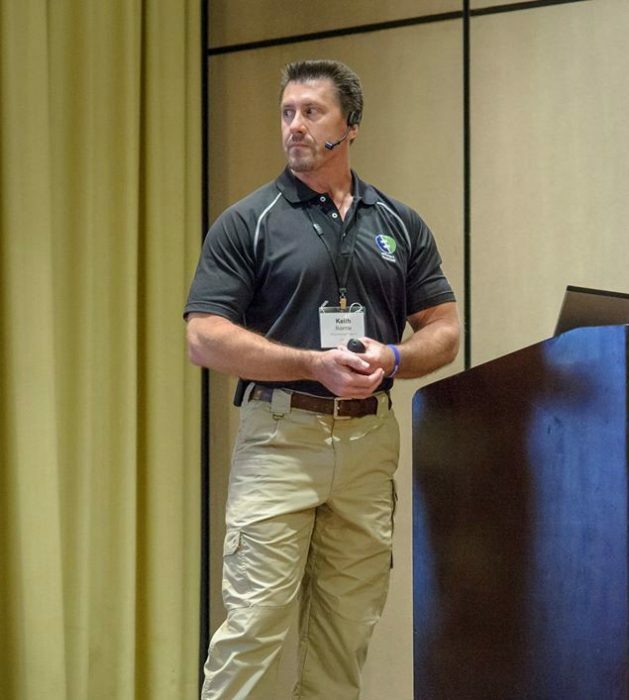 And by all means, if you have any tips to share — questions, comments, or concerns as well — please feel free to drop me a line at either keith@Paleofx.com, or keith@efficientexercise.com — I’d love to hear from you! I’ve no PhD. nor laundry-list of acronyms following my name to tout; I do, however, have 40+ years of in-the-trenches warfare, empirical and self-taught knowledge at my disposal. I am by no means a “certified expert” in anyone’s ledger, just a guy who’s become demonstrably adept at consistently stiff-arming life’s obstacles so as to eek-out a damn good workout and a healthy, tasty meal. Put a string of those types of “wins” together, and before long you’ve established a solid leg-up in the ol’ Physical Culture game. Come join in the journey; it’s a hell of a lot of fun — and a rewarding ride, to boot!